What you wear on the golf course can not only make you look good but also improve your game by keeping you fresh and alert and dry and warm. The days of heavyweight and restrictive clothing as the only options when the weather takes a turn for the worse are long gone. The golf industry has been quick to take advantage of new fabric technologies with a wide range of golf specific garments available. The correct combination will allow you to perform to your maximum whatever the external conditions. The key to this process is what we know as layering, combining clothing for different conditions to ensure that you remain dry, regulate your temperature and protect you from the wind, rain or sun. Three layers are generally considered to be the optimum amount and these consist of a base layer, a mid layer for either warm or cold conditions and an outer layer. Base Layer garments are worn next to the skin and moisture management is a key element for this primary layer to remove moisture from the skin which natural fibres such as cotton, cannot achieve on their own due to high absorbency. 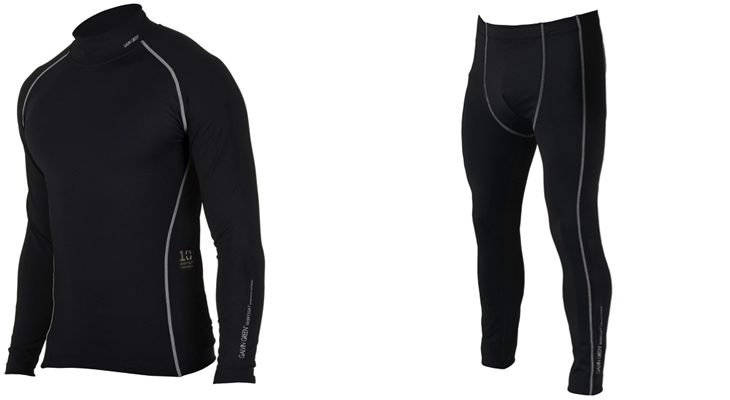 The base layer should fit the shape of the body quite closely so that it works to its optimium in cold conditions. One of the key advantages of a base layer is the warmth it generates to the body helps golfers swing more freely and therefore perform better. Some base layers come complete with Compression Technology that are a tighter fit developed to enhance circulation, aid body posture and boost stamina by stimulating oxygen levels in the muscles. In cold weather conditions thermal base layers are available that combine heat trapping materials with breathability and high levels of moisture management to keep you warm and dry. In warm conditions, the base layer should wick moisture away from the skin to the outside of the garment where it evaporates quickly to give a cooling effect on the body. Hot Weather Base Layers have no thermal properties and are extremely fine in construction. Base layer garments should be very comfortable and are made with “Flat Lock Seams” to minimise abrasion and are mainly constructed of man made materials although natural fibres such as Merino are available but these do not contain any compression benefits. The mid layer plays a key role in thermal regulation depending on the conditions. In cold weather the mid layer should give additional thermal insulation to keep the body warm and comfortable by trapping heat generated by the body. 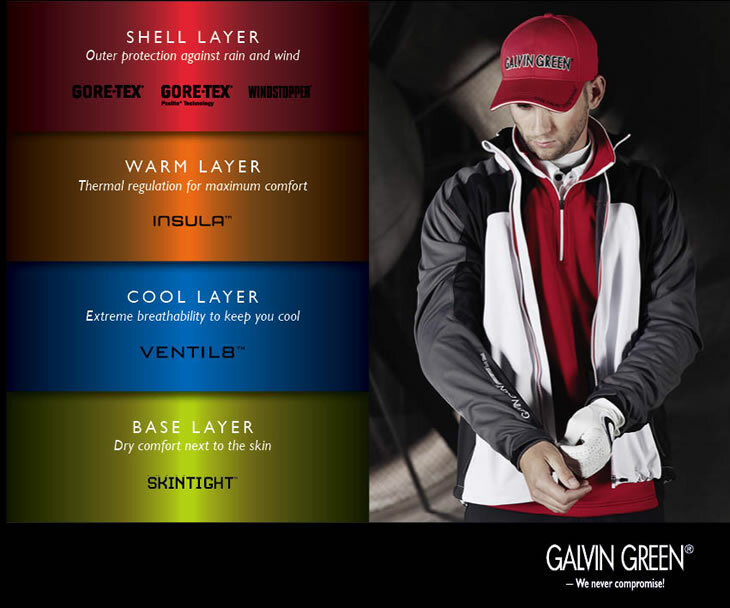 Mid-layers for cold conditions are generally constructed from soft and stretchy materials that provide a snug fit that in no way restricts the golf swing. Breathability is essential in a good mid layer so that any excess moisture or heat is transported away from the body for easy evaporation. Traditionally wool sweaters have been used as a popular mid layer however these trap heat and prevent moisture movement, so are not suitable as part of a layering solution. In warm conditions the mid layer acts primarily as a transport layer designed for maximum breathability and moisture transportation to keep the body cool and dry. In warmer conditions the mid layer may be worn next to the skin rather than over a base layer. They are designed to be light, soft and comfortable when swinging the club. Many fabrics now have built in anti-bacterial properties to keep the shirt fresh as well as built in UVP for protection from the sun. Mid-layers are very versatile but are susceptible to external weather conditions with wind being able to penetrate the fabrics and replace the warm pockets of air created. 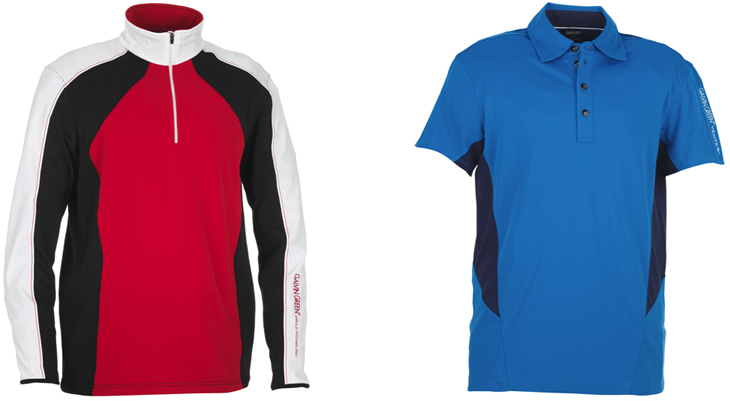 In cool and wet conditions they provide the perfect intermediate layer between a base layer and an efficient waterproof or windproof top layer. 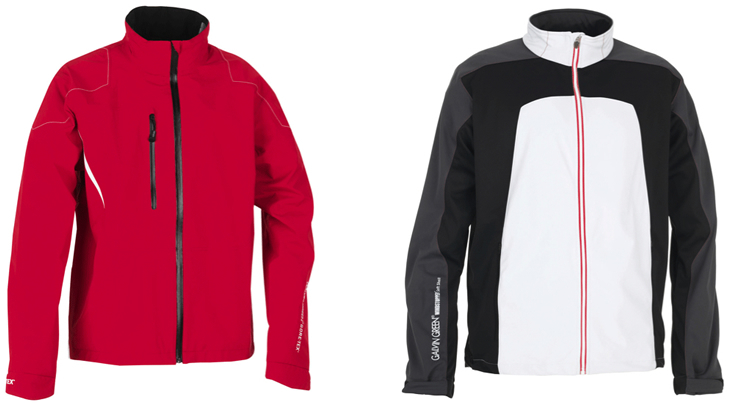 The Outer Layer is the weather protective layer and is designed to provide golfers with maximum protection against rain and wind. It is essential that the outer layer you choose is adequate for the conditions you face but should also be of a breathable moisture wicking construction and well ventilated to allow the 3 layer system to work efficiently. As you can see the combinations are endless and learning to manage your different layers will allow you to play to your potential whatever the conditions.